Registration is open for the 2014 Nantucket Daffodil 5K to be held April 27th at 9AM at Codfish Park. Early registration ensures a collectible event t-shirt! Current Nantucket Triathlon Club members save $5.00 on registration with the password that will be emailed to you from the club. Thanks for your continued support of this race! We are running a fundraiser for Boston Childrens Hospital and hope that you can forward the race & party information to your club members. We are planning a full day of fun starting with the race, live Irish music, Brunch, Entertainment and Dancers- all included in race registration! Here is the event information and registration link http://www.active.com/medford-ma/running/distance-running-races/running-of-the-leprechauns-2014 100% of sponsorships and profits will be going to Boston Childrens Hospital. Annual Banquet – 1 February! or call president Larry at 508.432.2464. Registrations must be in by January 27th! On behalf of the Hockomock Area Y, we would like to invite your triathlon club or team to join us at our 8th Annual sprint triathlon at Lake Pearl in Wrentham, Massachusetts. The fun and friendly race is on Sunday, July 20, 2014, with a start time of 8 am. The Hockomock Area Y is proud to host the only para-triathlon friendly race in New England, and last year we welcomed Team Hoyt to Lake Pearl. The race is welcoming to beginners as well as youth and juniors, but the rolling hills on the bike and run will challenge experienced triathletes looking to push the pace, as well. We are looking forward to another great event this year, and are excited to announce a new Club Competition. Each team must contain a minimum of 5 members with at least 2 females. Teams will be scored by totaling the times of the 2 fastest females and the 3 next fastest times, regardless of the racer’s gender. Each team must designate a team captain. The first place team will be awarded a trophy, as well as each individual racer’s finisher’s medal. Individual racers are also eligible for place medals. · .25 mile SWIM, 9 mile BIKE, 3.1 mile RUN. · Swim is in a calm lake, with an in-water wave start. · Bike and run provide moderate hills through Franklin, Norfolk, and Wrentham. · Centrally located and easily accessed grass transition area. · Free tech tee and finisher medals. Top 3 finishers in each category will also be recognized with place medals. · Club competition with trophy to first place team. Club members are also eligible for individual medals. · Open Water Swim clinics and course previews will be conducted at the race site. Dates TBA. · Field limited to 400 racers. 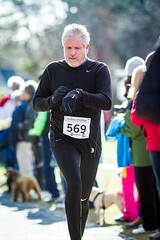 All proceeds from the race benefit the Hockomock Area Y’s Reach Out for Youth & Families Campaign. Through this campaign, the Y is able to provide confidential financial assistance to children and families in the local community to enable them to experience the Y’s mission-driven programs and services – regardless of ability to pay. Any team members interested in volunteering at the race, please contact Mike Mahoney at the Y: michaelm@hockymca.org. We hope to see your team at Lake Pearl during the 2014 racing season! · Approximately 26 members present. · Presentation about therapeutic/sports massage and benefits of massage for athletes. · Discussed November meeting notes / Treasurer’s report discussed and approved. · Members voted to donate $300 towards the Andrea Holden race. · Membership management computer software recommendations not ready to be discussed yet – hopefully by January meeting. · Land Ho to Land Ho race – discussed about holding in Fall 2014 – Spring venue not possible. · CCTT – budget discussed – Andy Scherding recently replaced as CCTT director by Chris Crema. · February banquet – to be held at Doubletree Hotel, Hyannis on February 1, 2014. 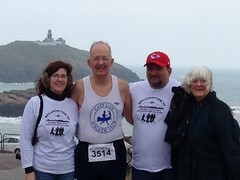 · Chairman of Board – Bob Edwards – 6 applications for Boston Marathon waivers have been received from members. CCAC has only received 5 waivers. New form has been posted on CCAC website which is to be used when applying for waiver. Form was adapted from Falmouth Track Club’s own form. Revisions have been done by Larry Cole. Choices for waivers will be made by Directors. Entry cost will be $325 by end of January and will increase by $100 after January 31st. · Membership – Tom Nally – Grand Prix presents busy time for membership payments, etc. Per Tom, member list approximately 516 cards were mailed out. 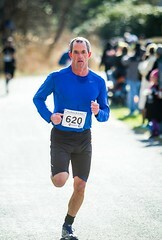 · Notable race results – Myles Standish Marathon, Plymouth MA; Plymouth 5K; Manchester Road Race, CT (Thanksgiving Day); Andrea Holden race – many CCAC finishers; Stocking 5K; York, ME 5K turkey trot; FT Lauderdale 5K; Truro Treasures race (Sept); Chatham Nun Run. 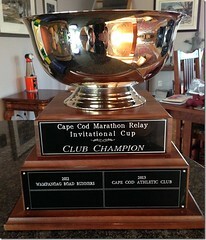 · CCM Relay Invitational Cup – 2013: CCAC won the cup this year – CCAC “Club Champion,” cup delivered for all to view. · Per Joe Weinberger, the Andrea Holden race had approximately 750 runners and was successful in raising funds this year. · Geof Newton – discussed upcoming race events: 1st Grand Prix race this Sunday – to be held at Conrad Languth’s house – directions are on website. 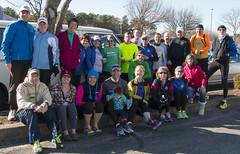 Falmouth Jingle Jog; Jolly Jaunt; Paulie’s Marathon and Half Marathon in February – registration now open. Also, MV 20 miler in February. · CCTT – Chris Crema – NCC Challenge started on December 1st. Also mentioned that a lot of the 2014 triathlon race registrations are opening up. · Grand Prix races – 12/8 – Conrad’s house, Brewster MA 3.1 miles; 12/15 Lost Dog Pub, Dennis MA 3.3 miles (race permit approved); 12/22 Kurt Martin, Orleans 3.1 miles; 12/29 YPD, Yarmouth 4.1; 1/5 Weary Travelers, Bourne 4.9; 1/12 Bayside Runner, Yarmouth 3.3; 1/19 Land Ho, Harwich 4.1 (permit application underway); 1/26 19th Hole, Hyannis 4.7 miles. · CCAC Banquet – Date is February 1st. Menu choices to be made after tonight’s meeting. Motion made by Bill Masterson to have the cost to members at $37pp plus one drink ticket vs. $40pp plus one drink ticket. This motion was voted down, and instead a counter-motion to leave the banquet ticket cost @ $40pp was seconded and approved. · New Business – Donation requests discussed; Big Brothers & Big Sisters – Pete Stringer – $200 donation approved. CC Times Needy Fund – $200 donation approved. CC Child Development – $250 donation approved. · Suggestion made by Howard Tansey regarding a race for the 2014/2015 Grand Prix series – Invitational-style and to include both a 10k and a 5k run on the Chatham Harbor Run course – possible date to be 2nd Sunday in December, 2014. Howard was voted as chairman for the purpose of organizing the race. · Suggestion about programs (like tonight’s massage info) for future CCAC monthly meetings. · Next meeting: Wednesday, January 8, 2014 at Dennis Senior Center.